Is Adoptee Anger My Life Sentence? When adoptive and foster mamas hear their child’s back story, they may experience grief for their child and doubts as to whether or not they can successfully parent that child. What they don’t know is that they’ve been wired for this calling as a mama. Hearing Sherrie’s story about her mom will help mamas to see why they can be confident in the calling and parenting. adoptive mother/child relationship is deep and often seems impossible to normalize. The child usually acts out of anger at the mom and the mom is hurt terribly. 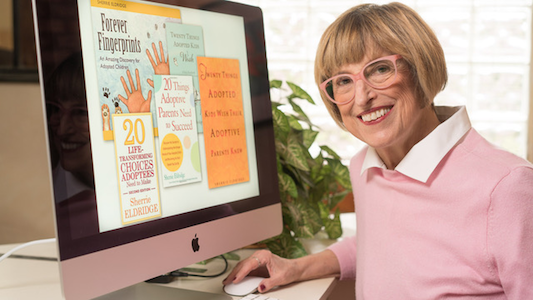 Sherrie Eldridge encourages adoptive mamas to know the intrinsic value of their love to their children by showing her own mom’s determined love in the midst of Sherrie’s fierce rejection.